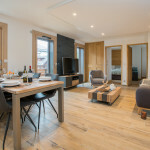 Second floor apartment in an exclusive development of luxury self catered apartments in Morzine. 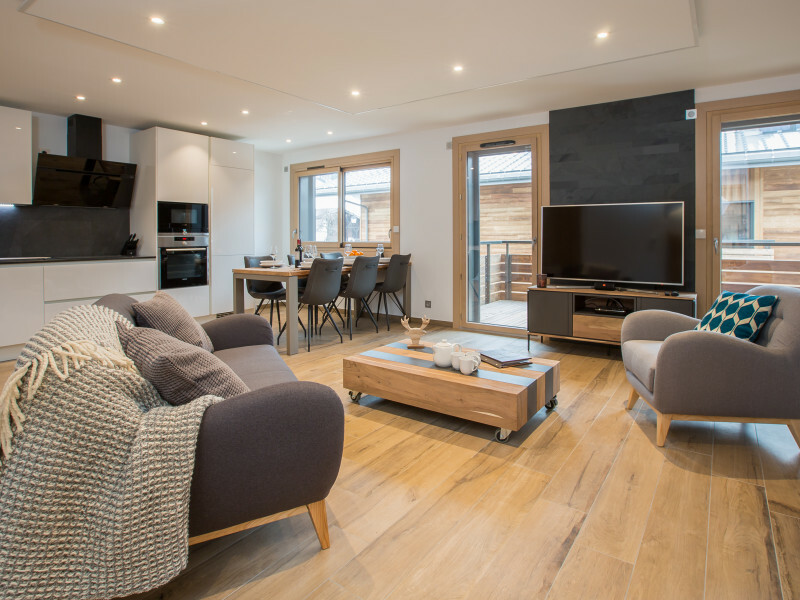 New for the 2017/18 ski season this apartment is an exclusive development of luxury self catered apartments in Morzine with each luxury self catering apartment is being finished and furnished individually by its private owners. 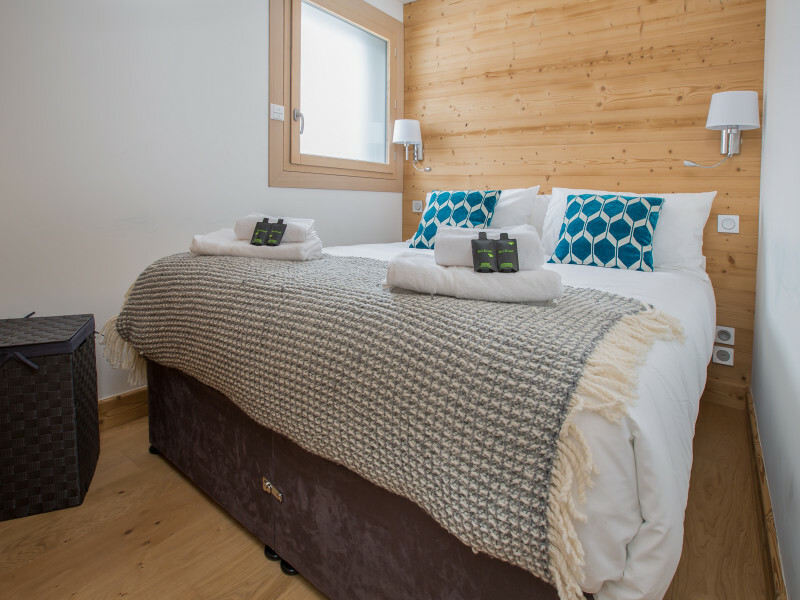 The residence is in a prime location 2 minutes walk from the Pleney Telecabine, with the shops and restaurants of town on your doorstep. 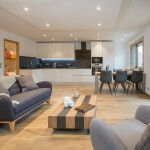 Snowy Owl is a beautiful apartment, sleeping 4 – 6 guests, so is perfect for a family or small group. It is on the second floor of the residence. 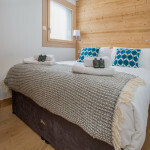 Master bedroom 1 – has a generous ensuite shower room, a king sized bed and a large fitted wardrobe. 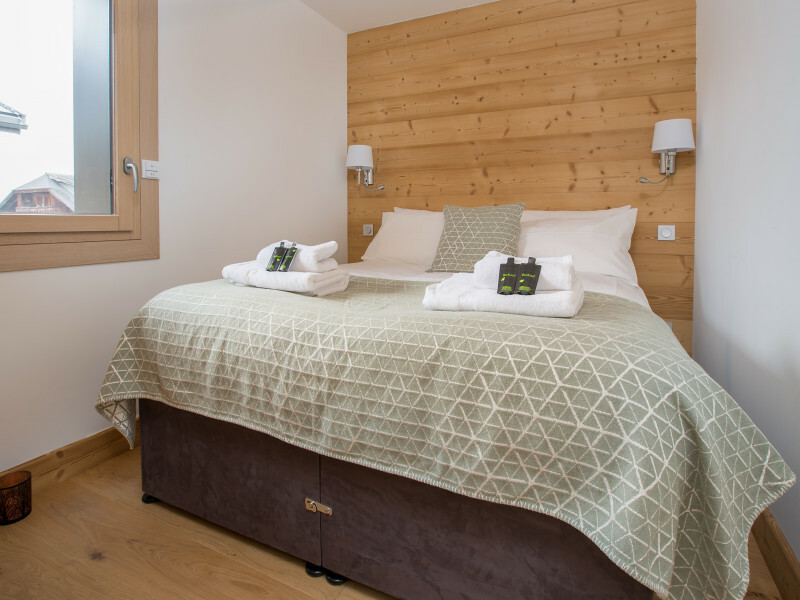 Bedroom 2 – has a king sized bed or can be made as twins. It has plenty of storage in the floor to ceiling built in wardrobe. 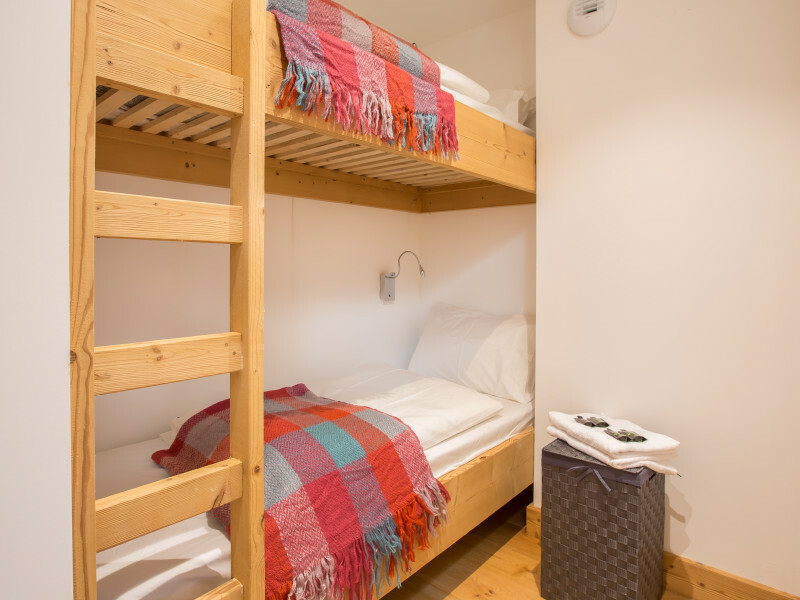 Bedroom 3 – bunk room which can sleep both children and adults. 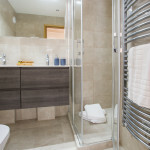 There is another generous shower room off the living area. 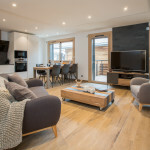 Wifi throughout and an internet connected TV with English channels, private underground parking for a car and a boot room with boot warmers and ski racks. 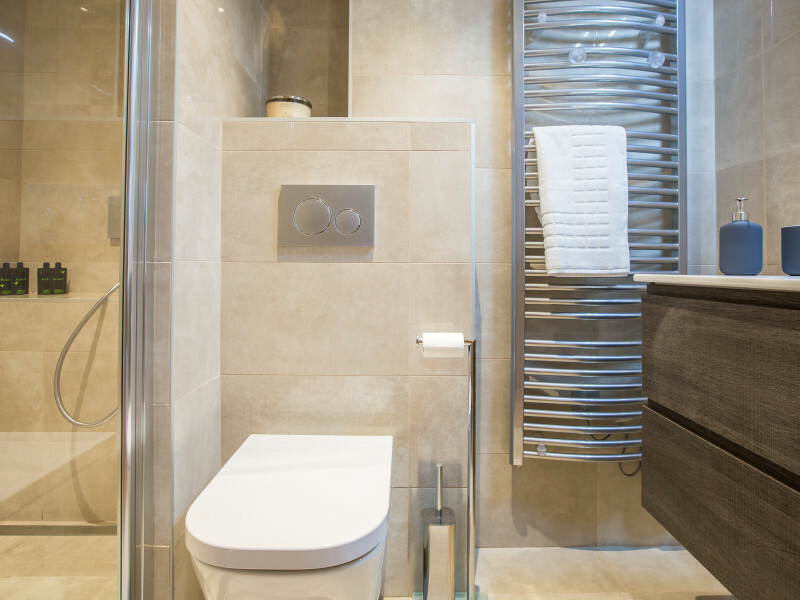 A lift allows easy access to the underground parking to the apartment. There are no keys under door mats, wondering where to go or who to call with our in-resort ‘Meet-and-Greet’ service. 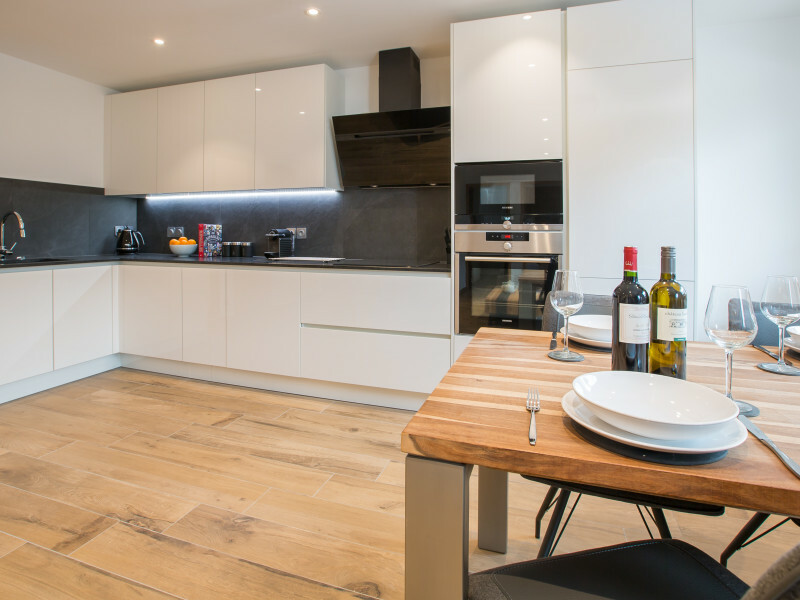 We will be there when you arrive at your apartment to help you make the most of your holiday with us. Chef Services – that can cook for you and your guests. Whether it’s a banquet or an informal dinner our chefs can design a menu to suit the occasion. 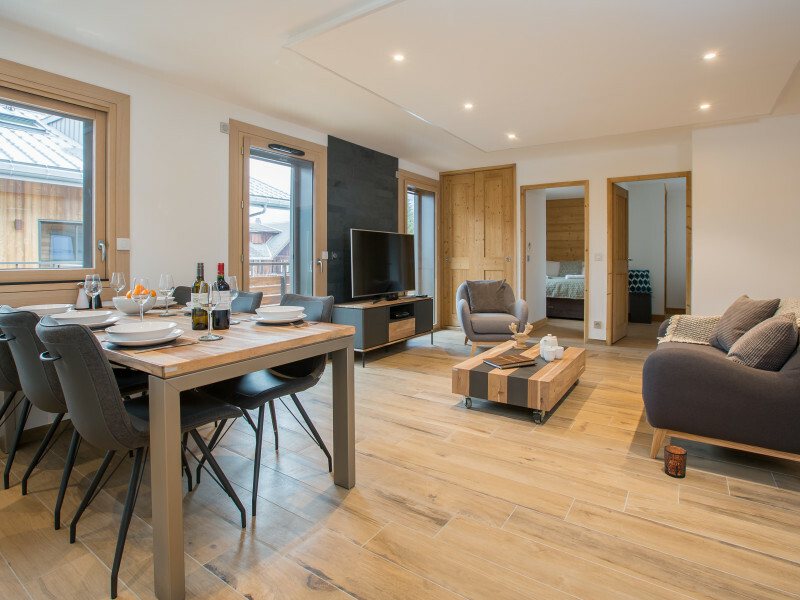 We can deliver pre-booked and paid for lift passes, for the Portes du Soleil and Pleney/Les Gets ski areas. Recommend ski or snowboard lessons with local English speaking instructors. Prices shown are for the whole apartment. We will be there to meet and greet you when you arrive and show you around your apartment. 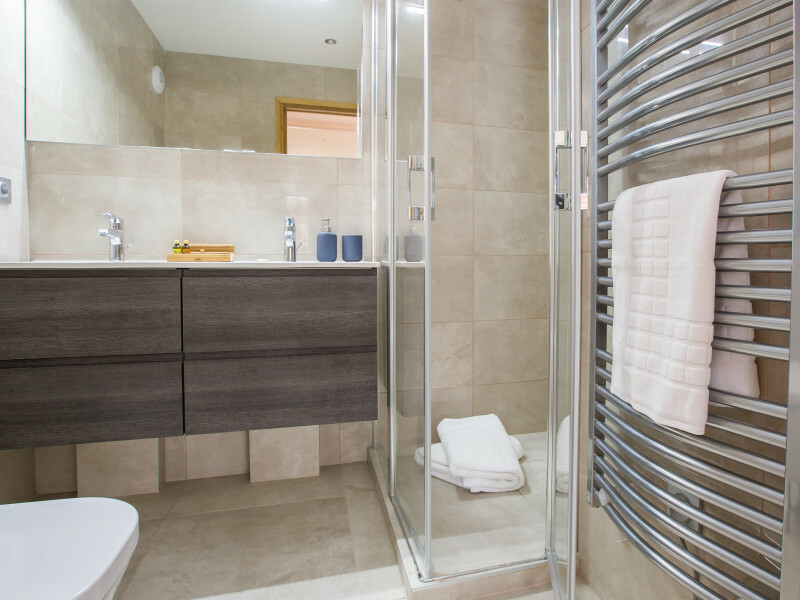 We also provide a ‘Welcome Pack’ in the apartment to get you going. Our *Welcome Pack consists of PG Tips teabags, milk, sugar, bread, butter, jam, bottle of water, basic cleaning products, dishwasher tablets, bin liners, dish cloth, tea towel, loo roll and the important bottle of wine! Airport transfers, equipment hire, activities, lift passes, childcare, high chairs and cots for children. 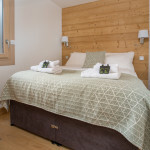 We can also arrange massages in your apartment and other mountain activities for the non-skiers in your group. 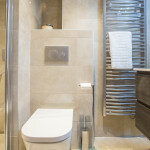 The en-suite shower room for master bedroom. 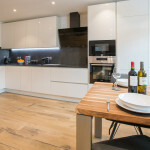 Open plan kitchen which is fully equiped even with a Nespresso coffee machine. Second bedroom which can also be made up with two single beds. Comfortable enough for childern or adults..
View of lounge are with interconnected TV and English channels. 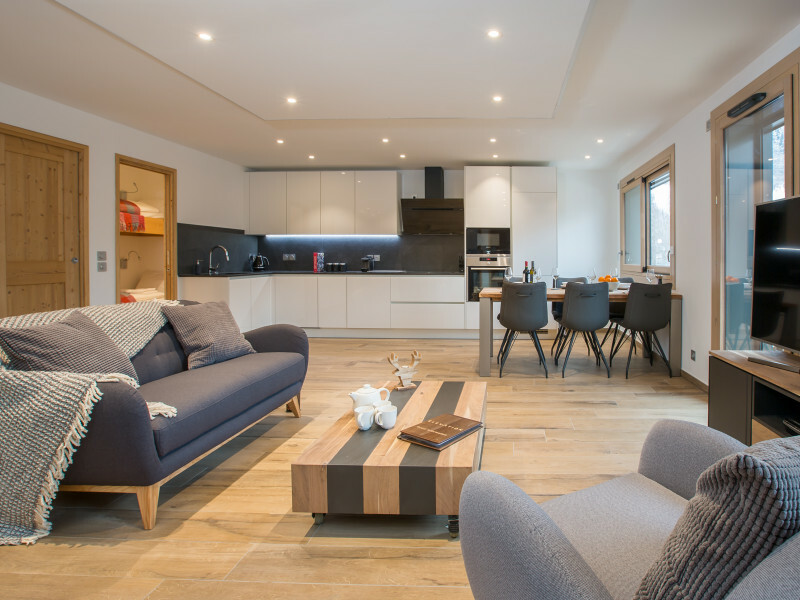 View of the kitchen from the open plan living and dining area. Great holiday deals and steals. They don’t last long so you need to snap ’em up quickly.